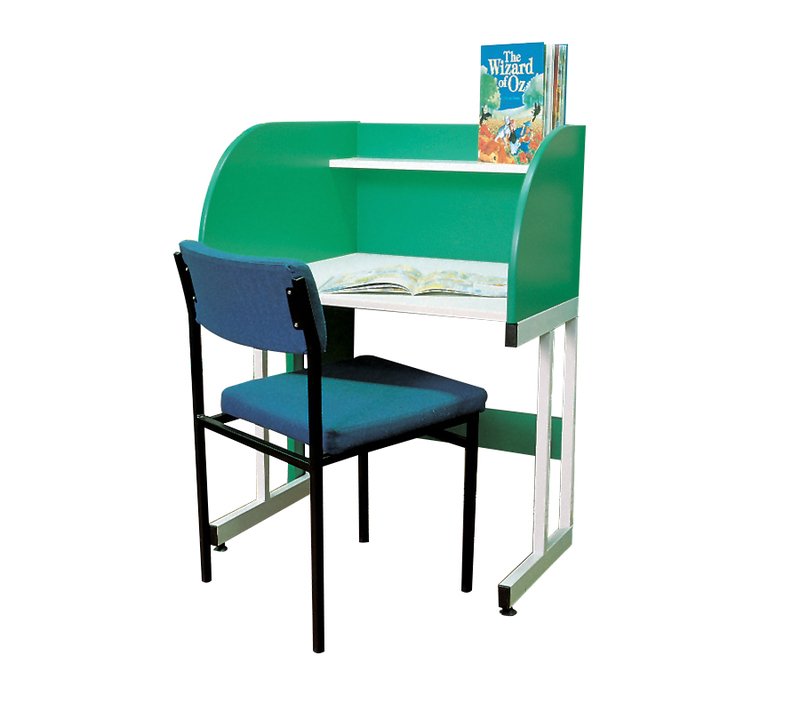 The Tortuga study carrell is a great workspace desk to have in libraries and school libraries. It is available as a single sided or double sided unit and has a worktop and shelf. It stands on a steel frame painted in either black, white, grey or silver, and the unit comes in a choice of 11 colours. If you require a full run of study carrells then please call us on 01733 511121 for a comprehensive quotation. Please note: Chair is not included. See our range of library shelving. For more information please Contact Us or call us on 01733 511121.